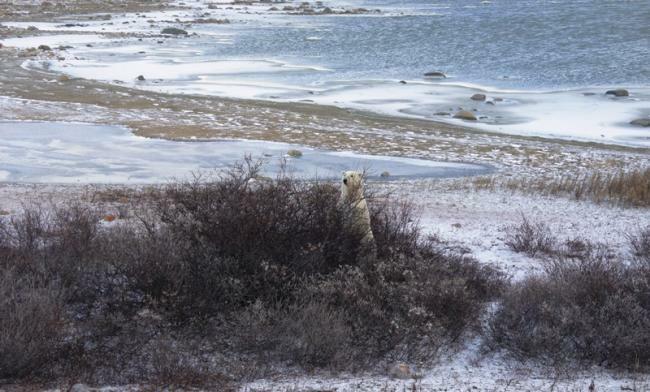 A visit to a subarctic region for polar bear sighting was in my bucket list. But I never thought it would come true and so soon. So when the opportunity came knocking on the door, I was quick to respond. My growing ties with Canada this year took me to Churchill in northern Manitoba on the west shore of Hudson Bay. 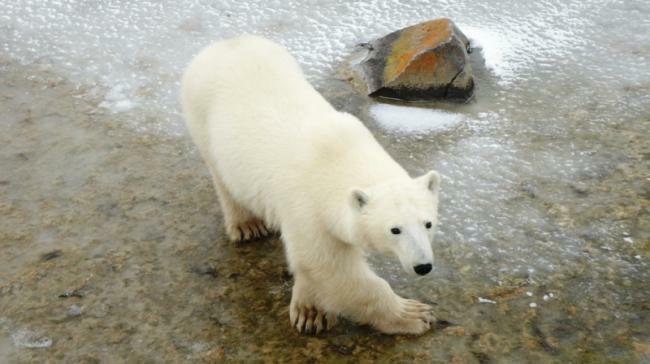 Churchill is known as the polar bear capital of the world. It was a long 14 hour flight from New Delhi to Toronto and then after a brief layover I flew down to Winnipeg, the capital of Manitoba. The next morning a two hour early morning flight in a small chartered aircraft Travel Manitoba took us to Churchill. It was an extremely cold day and we checked in at the hotel Tundra Inn in the heart of the small town. The next morning we set out on the polar bear sighting mission. 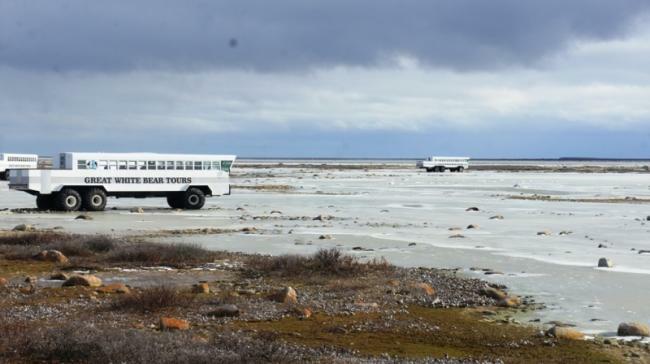 The Churchill Wildlife Management Area is 850,000 hectares almost and the subartic habitat boasts of over 33 km of existing trail where you find the bears and sight them from the buggies, which are specially designed all-terrain vehicles. A Frontiers North Tundra Buggy Adventure is the best and safest way to view the majestic polar bear in its natural environment. The term "Tundra Buggy" is a registered trademark of Frontiers North Adventures. 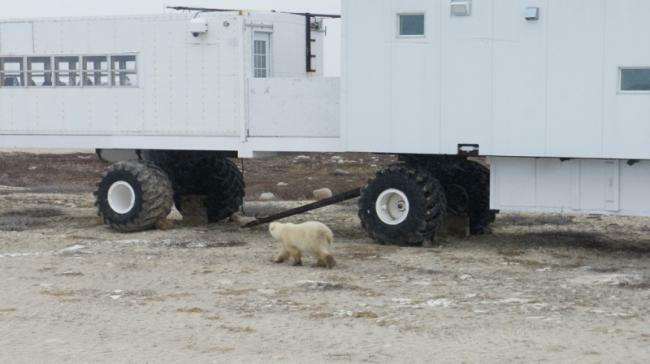 So we started early and then as the Tundra buggy- the experience of riding one is amazing- rolled along the dirt track, like a mititary tank, that was partially frozen, it took more than an hour and half perhaps to spot the first polar bear. But then the third we spotted was a real show stopper and after almost 45 mins of viewing its movement from a little far where we had parked the vehicle, the bear finally started moving towards us and came close to the buggy. 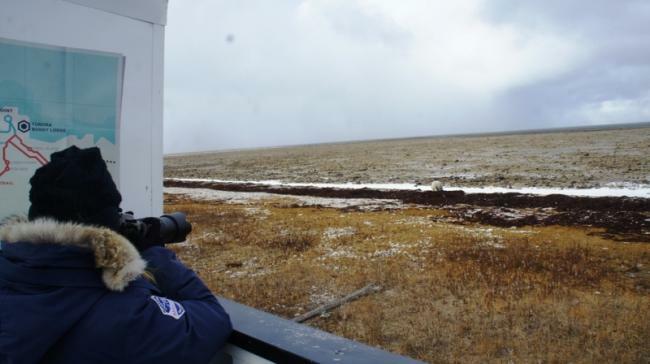 We all clicked frantically, took videos and braved the -9 degreee temperature to rush to the open deck of the buggy for an up and close view of the animal that brought us to the Arctic tundra region. 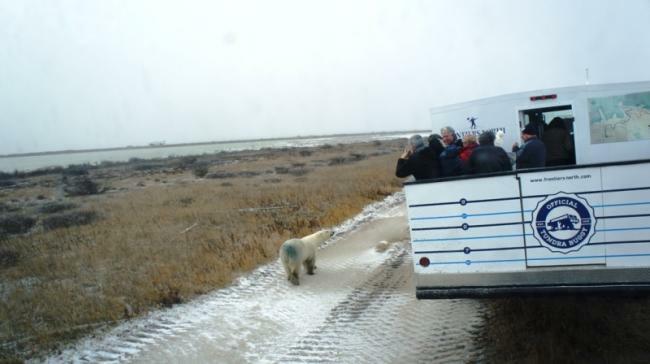 The second day we ventured out to view polar bears with met with more success with the sighting of at least four of them, including one which smelt food in the kitchen of the buggy lodge parked in the bear point and almost chipped away a part of the buggy's bottom, till it was shooed away. 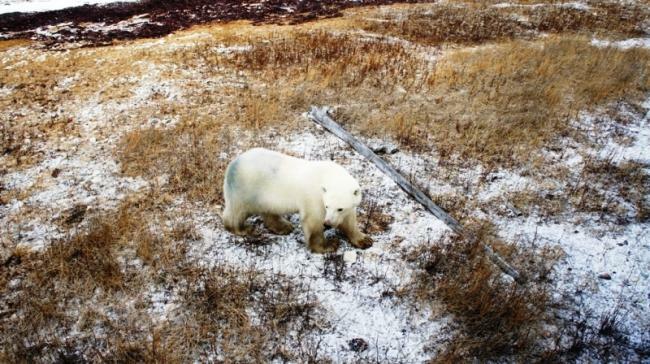 Churchill is one of the few human settlements where polar bears can be observed in the wild. Thousands of visitors from around the world visit each fall for the excitement of seeing these magnificent animals. 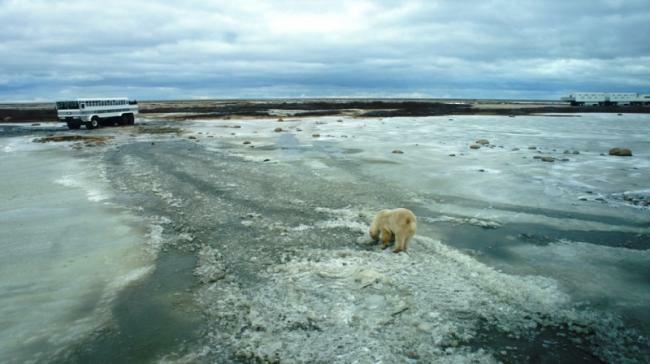 Prime viewing times are in October and November, when the bears begin their move from their summer habitat on the tundra back to seal-hunting territory – the pack ice that forms every winter over Hudson Bay. You can also see bears during summer and winter.